Elbrus is the highest point of Europe: 5.642 meters or 18,510 ft. This was the first Bosnian ascent on skies on July 15th, 2010. 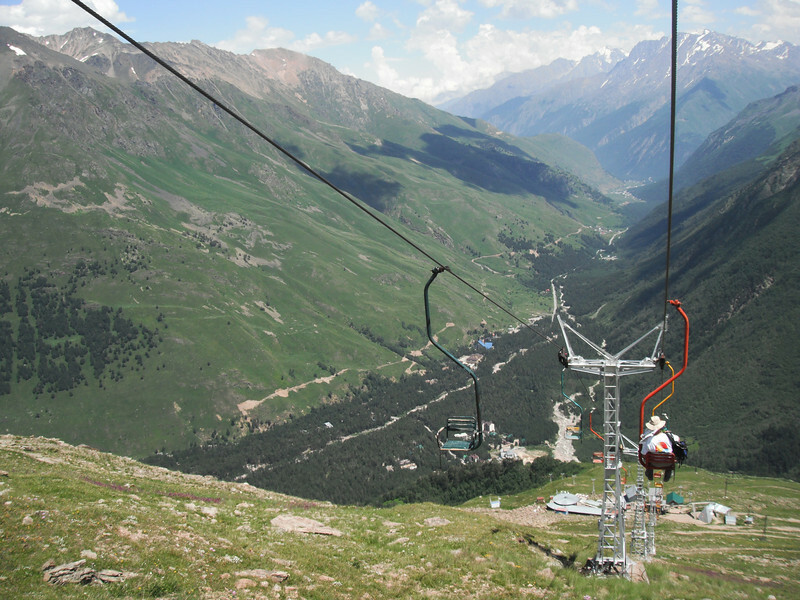 The lift is going down to Baksan Valley.